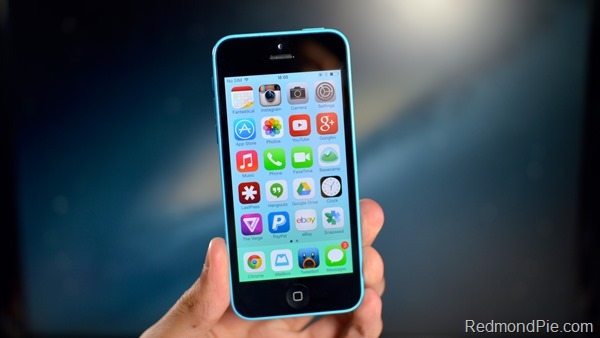 Amid a swirl of rumors over the past couple of days suggesting that Apple would be adding a cheaper, 8GB variant of the iPhone 5c to its smartphone roster, the company has now confirmed this to be the case, with the handset launching today in select markets. The Apple iPhone 5c has, during its first six months on sale alongside the iPhone 5s, cut a rather desolate figure, and in many ways, is remnant of Apple TV before the Cupertino recently decided to pay its set-top a little more attention. Once described by Tim Cook as a "hobby," only recently has Apple TV been given any kind of respectability, and at this point in time, the iPhone 5c looks very much like another hobby. Even though this new, cheaper variant shows that the colorful iPhone 5c hasn’t been completely forgotten, it does seem like Apple is simply throwing it out there in order to assess price elasticity before scrapping the device completely later on this year. Sure, Apple may have other plans to court the lower-end of the market, but it’s seemingly clear that the iPhone 5c isn’t it, and with two new iPhone 6 models said to be arriving later this year, that only leaves space for one of 2013’s releases to remain — the iPhone 5s. Still, a spike in sales of this cheaper new model could certainly postpone iPhone 5c’s touted demise, and now, for £429 off-contract (£409 on O2 UK), you too could have yourself a shiny new device in any of the colors Apple provides. It’s worth remembering that the iPhone 5c is, to all intents and purposes, just an aesthetically-modified iPhone 5, and since, only half a year ago, it was good enough to be flagship, this is, without question, the best value current-gen iPhone that Apple has ever offered. 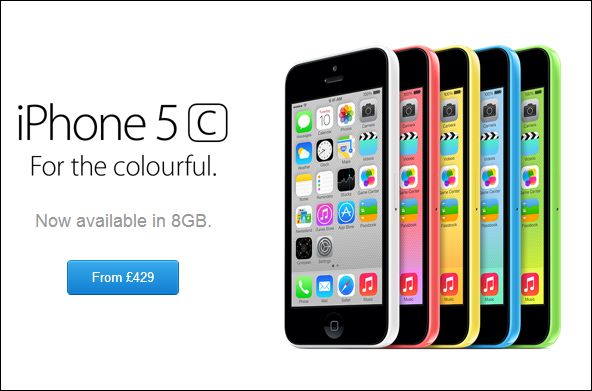 The 8GB iPhone 5c is currently available for purchase in select European markets such as UK, France and Germany, Australia and China. As of writing, this model is not available in U.S. and Canada Apple Stores. We’ll update when or if it does appear.